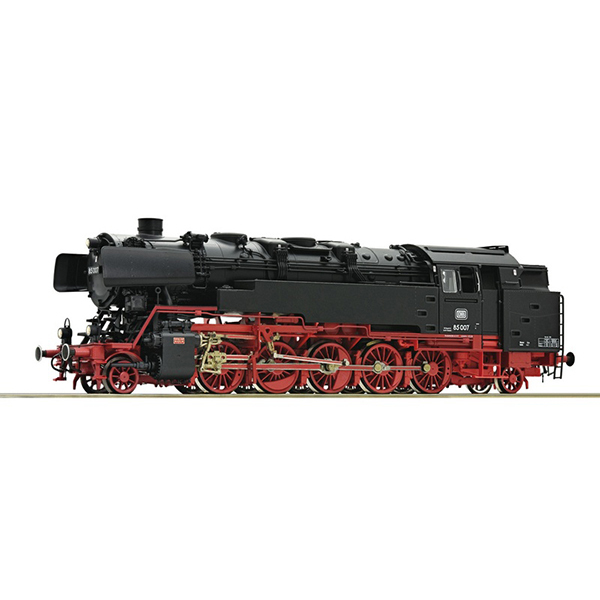 Steam locomotive series 85 007 of the German Federal Railways. Epoch III. Model Description: New design of the BR 85. Rich detailing on the model with many separately applied plug-in parts. Motor with flywheel, LED lighting and intricately elaborated wheel sets. Interface according to PluX22 standards for the adaptation of a digital decoder. Triple headlights that change over with the direction of travel. Coupler pocket according to NEM 362 standards and close coupling mechanism on both sides of the locomotives.